keywords: Bosne i Hercegovine, BiH, Bosnia and Herzegovina information, Bosnia and Herzegovina facts, Bosnia and Herzegovina geography, Bosnia and Herzegovina news papers, travel Bosnia and Herzegovina, tourist information for Bosnia and Herzegovina, Bosnia and Herzegovina map Note: External links will open in a new browser window. 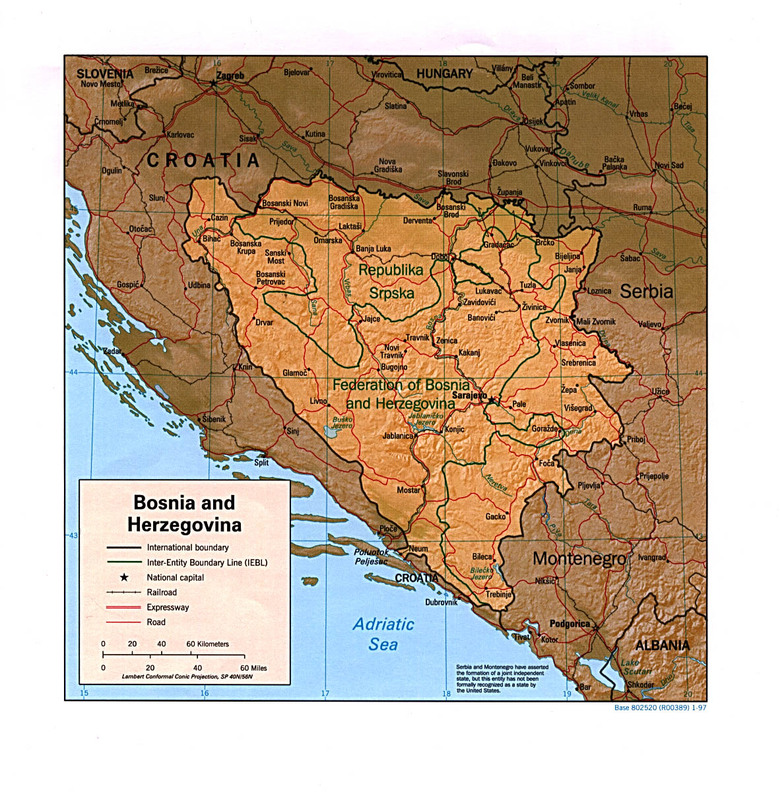 Bosna i Hercegovina int'l short form: Bosnia and Herzegovina int'l long form: Federation of Bosnia and Herzegovina abbreviation: BiH ISO Country Code: ba Actual Time: Mon-June-7 22:19 Local Time = UTC Capital City: Sarajevo (est. pop 387,876) Official Site of the Canton Sarajevo. Other Cities: Banja Luka (220,407); Mostar (208,904); Tuzla (118,500); Bihac (49,544). Following update on Bosnia was Supplied by Muamer Bajric on 8-Jan-98. SE Europe (Mediterrenean Sea area), bordering on S, W and N Croatia, and on E Federal Republic of Yugoslavia. Location: Southeastern Europe, bordering the Adriatic Sea and Croatia.